Sarah Wierks of the University of the Fraser Valley women’s basketball program has been selected to receive Canadian Interuniversity Sport’s most prestigious academic award. Wierks, a Chilliwack, B.C. product, is a member of the CIS Top Eight Academic All-Canadian team for the 2014-15 season. 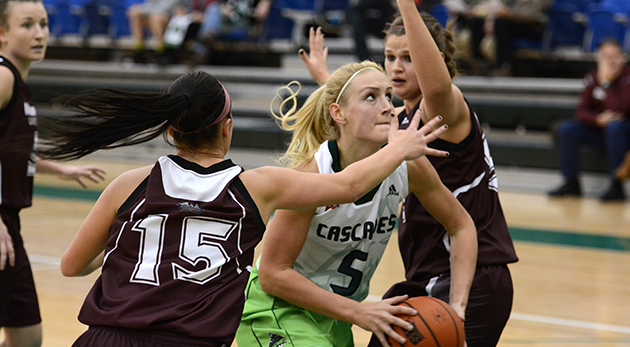 She is the first-ever UFV Cascades athlete to achieve the distinction. The elite group was announced on Wednesday, and will be honoured in Ottawa on Nov. 16 when his Excellency the Right Honourable David Johnston, Governor General of Canada, presents the third annual Governor General’s Academic All-Canadian Commendation to the eight recipients during a ceremony at Rideau Hall, his official residence. Wierks will be unable to attend the ceremony – after graduating from UFV in June with a Bachelor of Kinesiology degree, she has moved on to study at Palmer College of Chiropractic in San Jose, Calif., and the demands of her academic schedule won’t allow for a cross-continent trip. Steve Tuckwood, UFV’s director of athletics and campus recreation, will attend and accept the award on her behalf. In 2014-15, a record 3,096 students achieved the prestigious status, eclipsing the previous mark of 2,861 set a year ago. 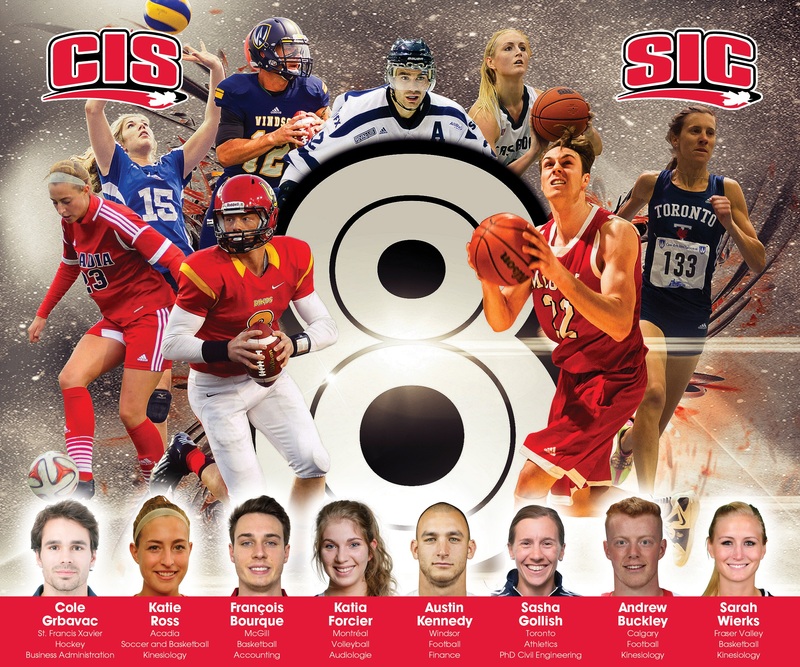 Among these outstanding individuals, one female and one male student-athlete from each of the four CIS regional associations are selected annually to make up the Top Eight. Wierks and Calgary Dinos football player Andrew Buckley are the representatives from the Canada West conference. The other Top Eight honourees include Katie Ross (Acadia University, soccer/basketball) and Cole Grbavac (St. Francis Xavier University, hockey) from Atlantic University Sport (AUS); Katia Forcier (University of Montreal, volleyball) and François Bourque (McGill University, basketball) from Réseau du sport étudiant du Québec (RSEQ); and Sasha Gollish (University of Toronto, track and field) and Austin Kennedy (University of Windsor, football) of Ontario University Athletics (OUA). 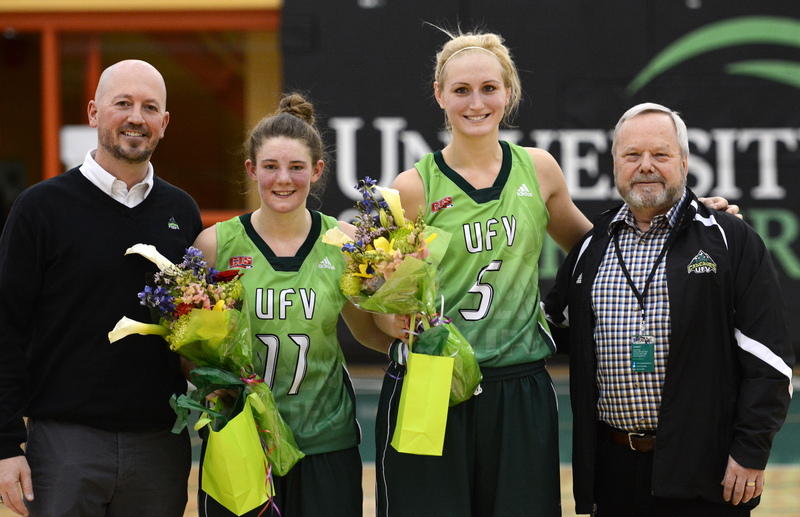 That Wierks is still winning awards nearly eight months after playing her last game with the Cascades, and four months after walking the stage at convocation, is indicative of how spectacular her UFV career was. In her five seasons, Wierks was not only one of the most dominant players in Canada West, she also helped put the Cascades women’s basketball program — which joined the league in 2006-07 — on the map. After helping the Cascades to four straight Canada West Final Four appearances (2011 to 2014), culminating in a conference silver medal and a historic CIS national bronze medal 2014, the 6’2” centre enjoyed her finest individual season in 2014-15. Wierks wrapped up her university career as a Canada West first-team all-star and CIS second-team All-Canadian, led the country in rebounding (15.4 per game) and was fourth in scoring (19.2), broke or tied six conference records, and graduated with 30 team records. A four-time CIS Academic All-Canadian, Wierks maintained a cumulative grade point average of 3.69, including impressive 4.0 and 4.08 marks in her last two semesters. In the community, the 22-year-old was involved with Big Brothers Big Sisters of the Fraser Valley, was part of the women’s basketball team’s Shoot for the Cure fundraiser, participated in Operation Red Nose each year in December, helped collect food for the Abbotsford Food Bank through the Cascades’ annual Halloween Walk and Knock, and also coached with the Junior Cascades basketball club for five summers. Wierks grew up in Chilliwack, in a family where athletic participation was encouraged. Dennis and Debbie Wierks wanted their kids to stay active, but they didn’t push them into sports. Rather, they allowed Sarah and her siblings – older sister Nicole and younger twins Megan and Mitchell – to choose which ones they wanted to try. Sarah ended up playing almost every sport available to her as a youngster, from baseball to volleyball to field hockey, before focusing on basketball and soccer as a teenager. 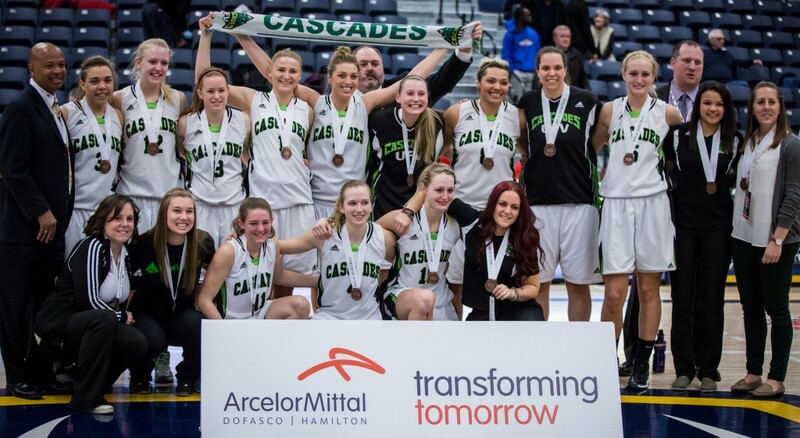 She shifted exclusively to basketball during her Grade 10 year, and the following summer, she joined the Junior Cascades club program helmed by Tuchscherer. After a stellar high school hoops career at Chilliwack Secondary, she signed with the Cascades, joining her sister Nicole on the squad. Upon arriving at UFV in the fall of 2010, Wierks initially found it difficult to balance university academics with the rigorous demands of high-performance athletics. “That’s all you do – basketball and school,” she recalled with a chuckle. “You’ve got to have very good time management skills, I guess you could say. Winning a major academic award caught Wierks somewhat off-guard – she’s always viewed elder sister Nicole as the elite scholar in the family. 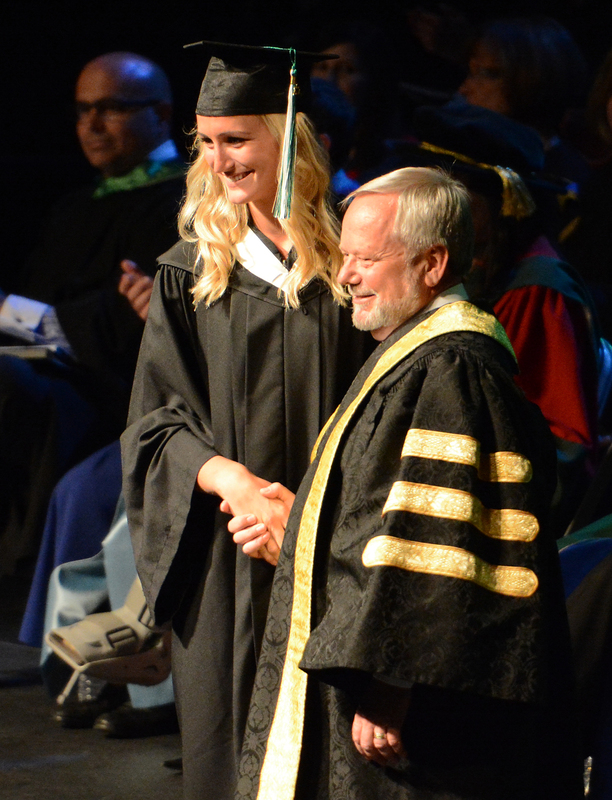 Upon graduating from UFV in 2014, Nicole was awarded the Governor General’s Silver Medal in recognition of her academic accomplishments. She’s currently in the faculty of medicine at UBC.